After six consecutive races in which Danica Patrick failed to crack the top 15 in the final rundown, she seemingly come out of nowhere to deliver a career-best sixth-place finish in Sunday night’s Oral-B USA 500. Starting 27th on the 43-car grid, the Stewart-Haas Racing driver methodically marched her way forward, and thanks to some key adjustments from crew chief Tony Gibson, was in position to possibly earn her first Sprint Cup win – and with it a berth in the Chase for the Sprint Cup. Lining up fourth and in the non-preferred outside line on the second of two attempts at a green-white-checkered finish, Danica Patrick lost two positions over the final two laps to come sixth – but it was still her best finish in 71 career Sprint Cup starts. “It was a long night,” said Danica Patrick, whose best finish prior to Sunday was a seventh-place finish at Kansas Speedway in mid-May. Fast pit work by Danica Patrick’s No. 10 crew moved her up to seventh after all the leaders hit pit road following a caution brought out when Kyle Busch and Martin Truex Jr. tangled on Lap 324, setting up the first green-white checkered attempt. 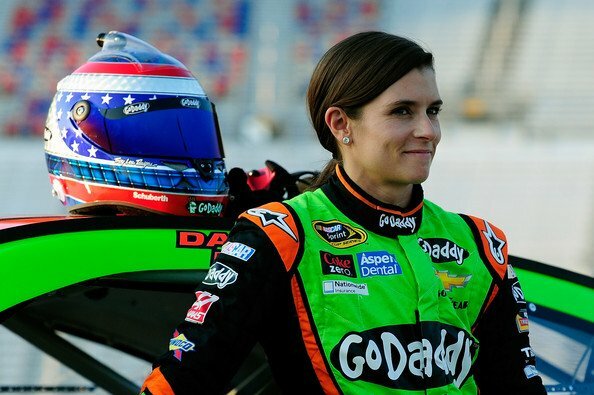 “Obviously the pit stop at the end that was 11 seconds was so good,” Danica Patrick said. Danica Patrick climbed three spots when Kevin Harvick’s dominant No. 4 Chevrolet got sandwiched between Paul Menard and Joey Logano, hitting the wall and setting up what would be the last restart. Despite slipping to sixth over the final two laps, Danica Patrick couldn’t have been more pleased with the outcome – and was already harboring high hopes for next weekend’s regular-season finale at Richmond International Raceway, a track she doesn’t consider a favorite. “I am just so happy for the team,” said Danica Patrick, who recorded her third top-10 finish of the season after posting just one top-10 last year as a Sprint Cup Series rookie.